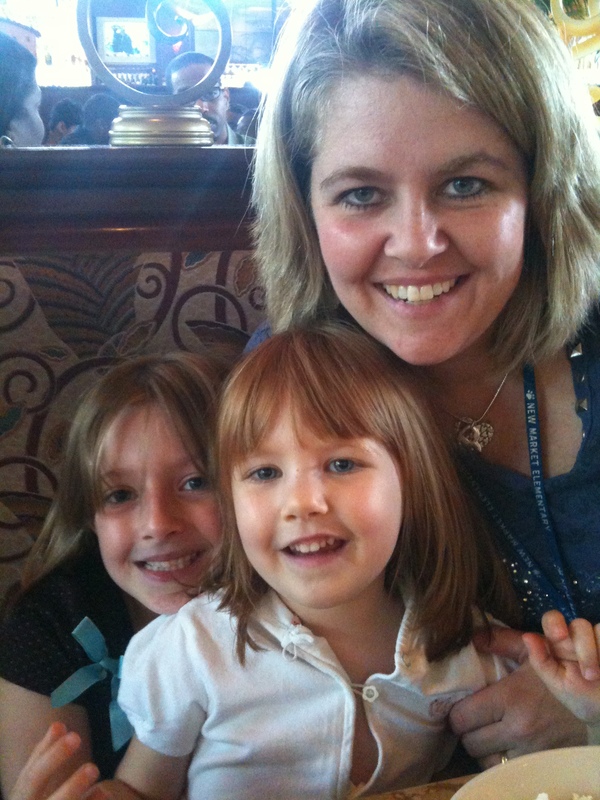 I had a fantastic 2010 and am looking forward to 2011. I visited many places I had been wanting to visit. I did not make it through my entire list, but I made quite a dent. 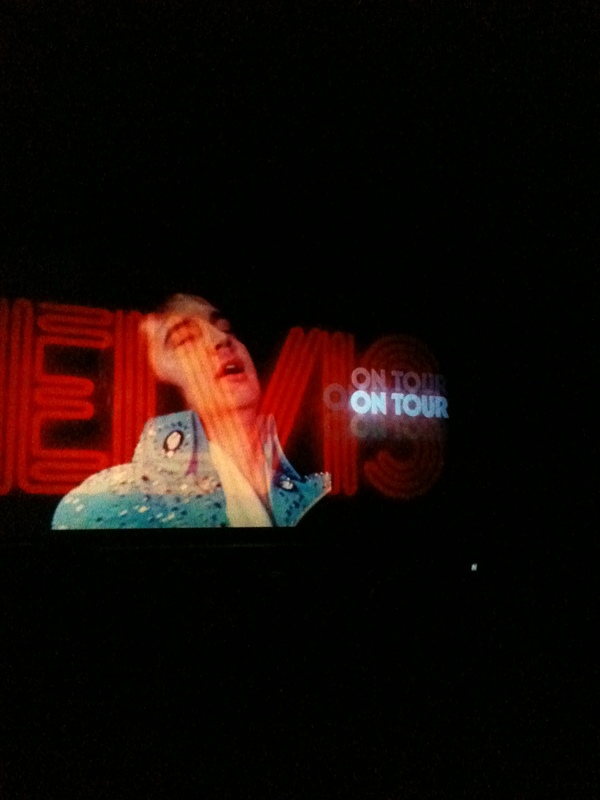 January I attended Elvis’ Birthday weekend celebration. 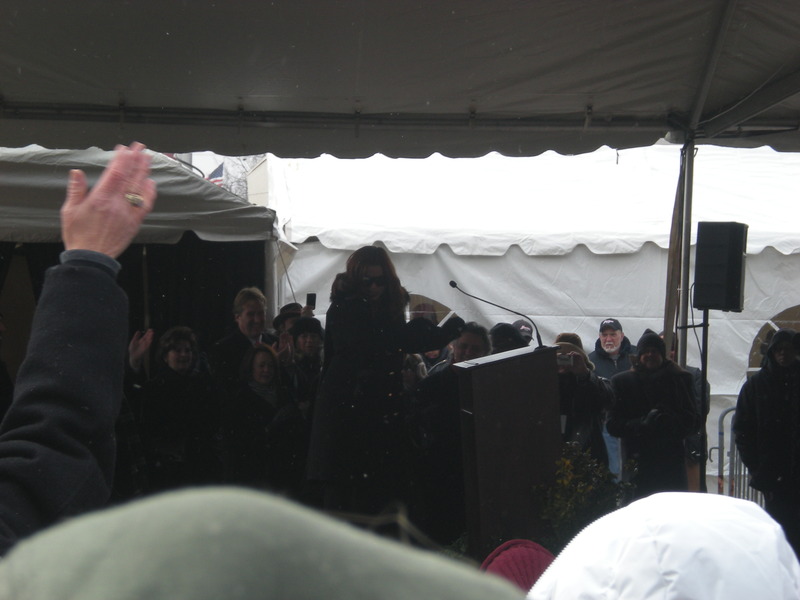 It would have been his 75th, so there was a lot of hoopla, including a visit by Priscilla and Lisa Marie. 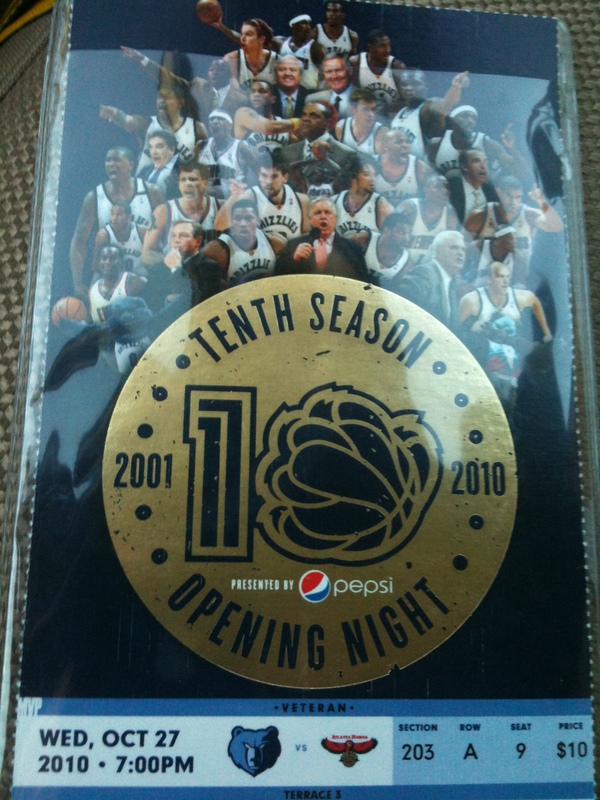 I got Grizzlies season tickets in 2010 and enjoyed my view from up top. 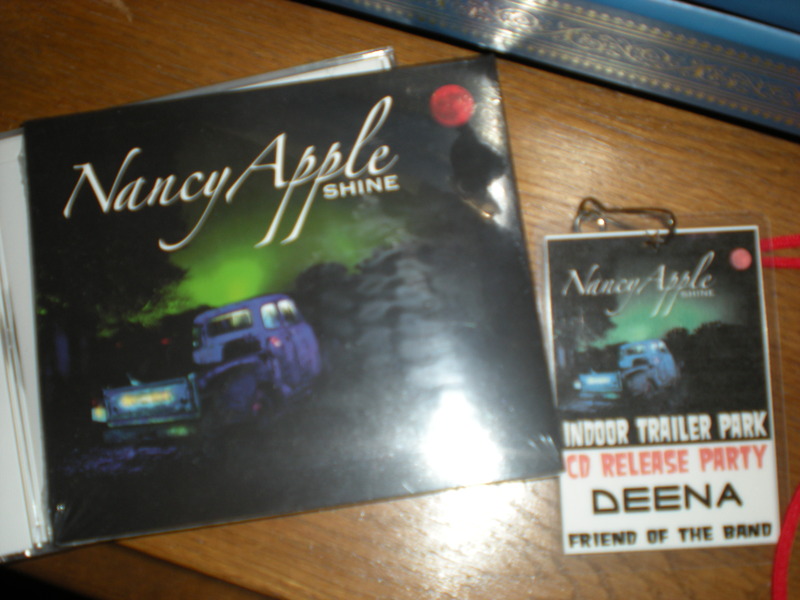 Also in January, I saw Amy Lavere at Young Avenue Deli and went to the cd release party for Nancy Apple’s Shine, which she recorded at Sun Studio. 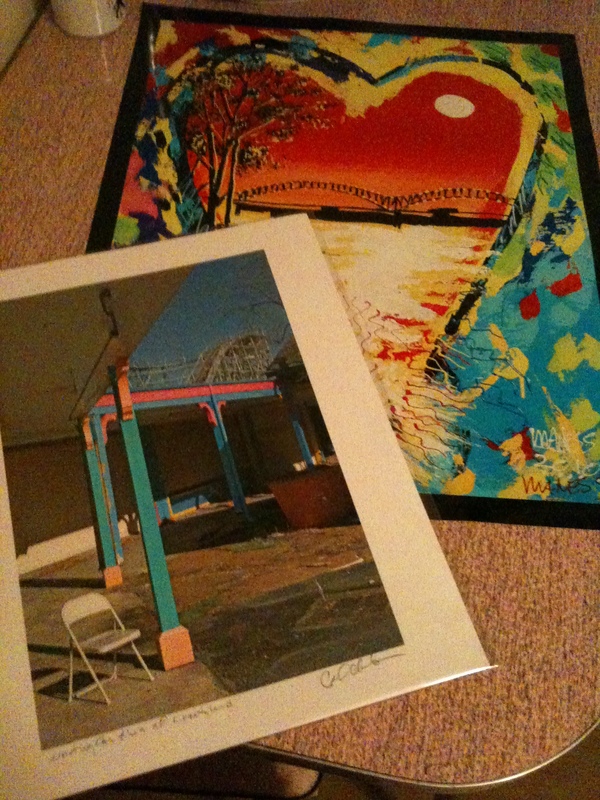 Nancy is my favorite Memphis artist who I now consider a friend. In February, I visited some local treasures. I toured the Rock n Soul Museum, played the slots at Harrah’s Tunica and ate at Paula Deen’s, and toured the Pink Palace. 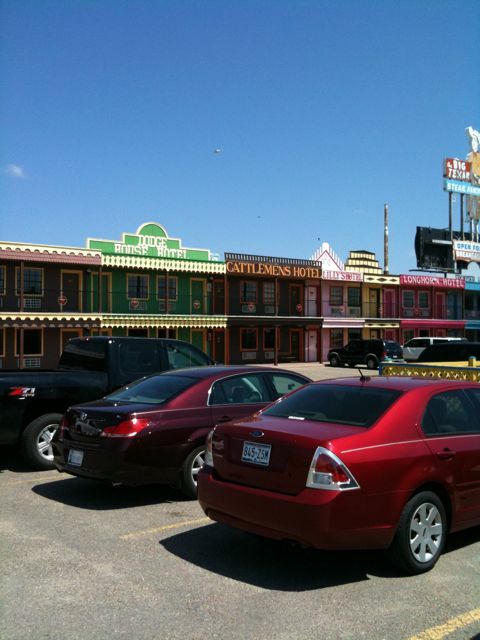 I also saw the movie Crazy Heart, which really inspired me to take a roadtrip out west. 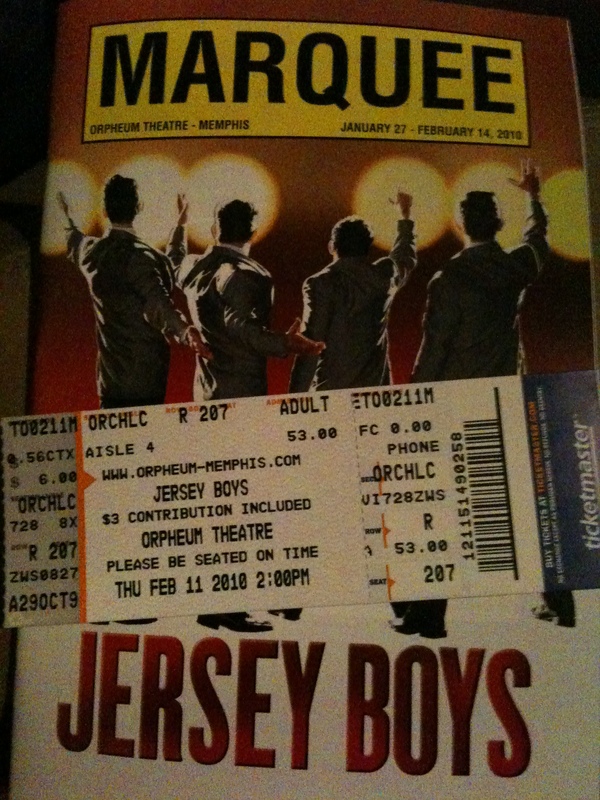 I saw the great play The Jersey Boys at the Orpheum Theatre. I saw Brandon Santini and Delta Highway at the Blues Hall on Beale Street and they blew me away. Fantastic blues group! 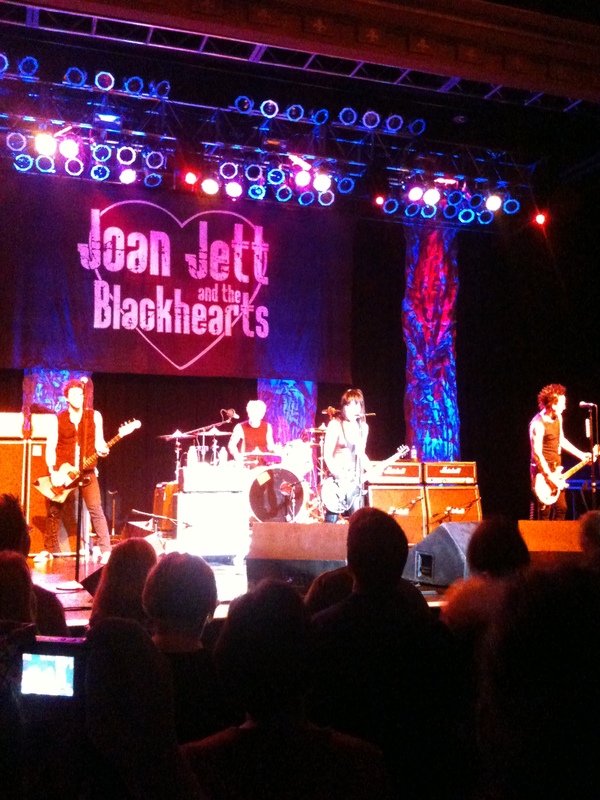 I really need to get back to see them. 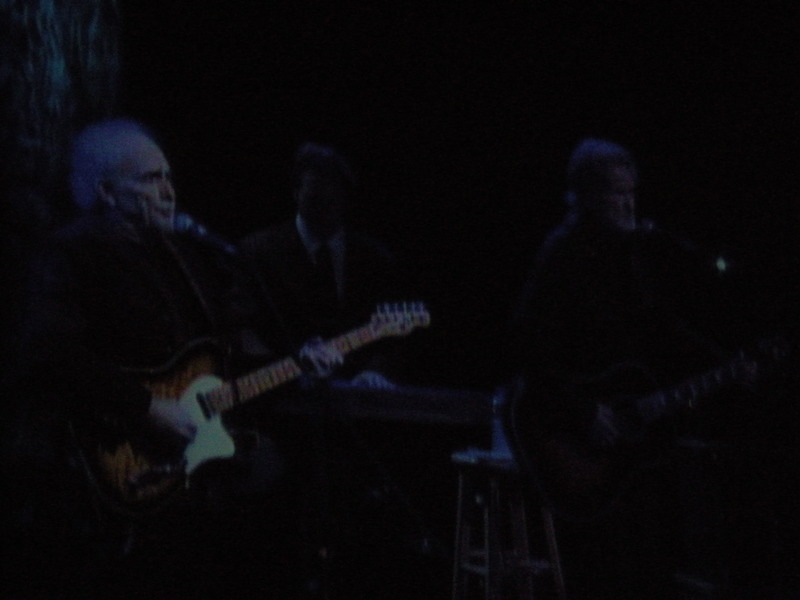 I went to the Big One flea martket and saw Kris Kristofferson and Merle Haggard at Horseshoe Casino in Tunica. 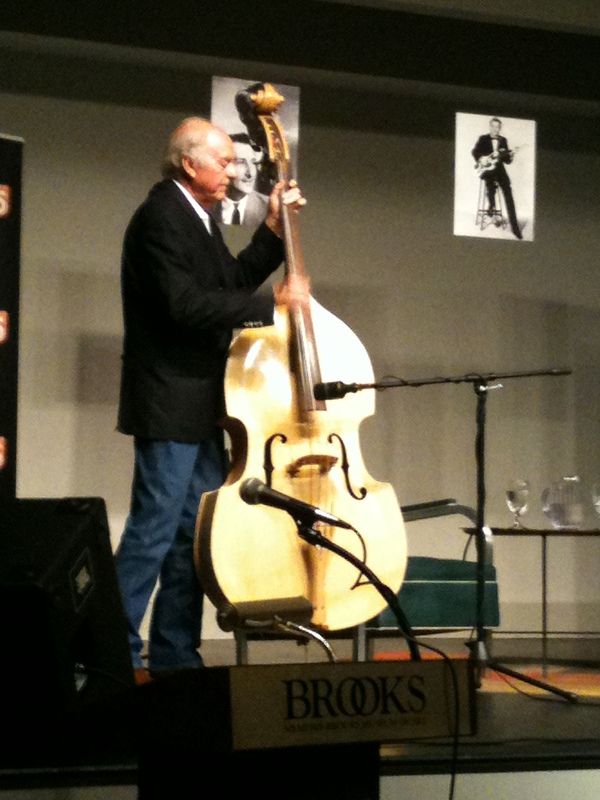 It’s the closest I’ll ever get to seeing Johnny Cash. 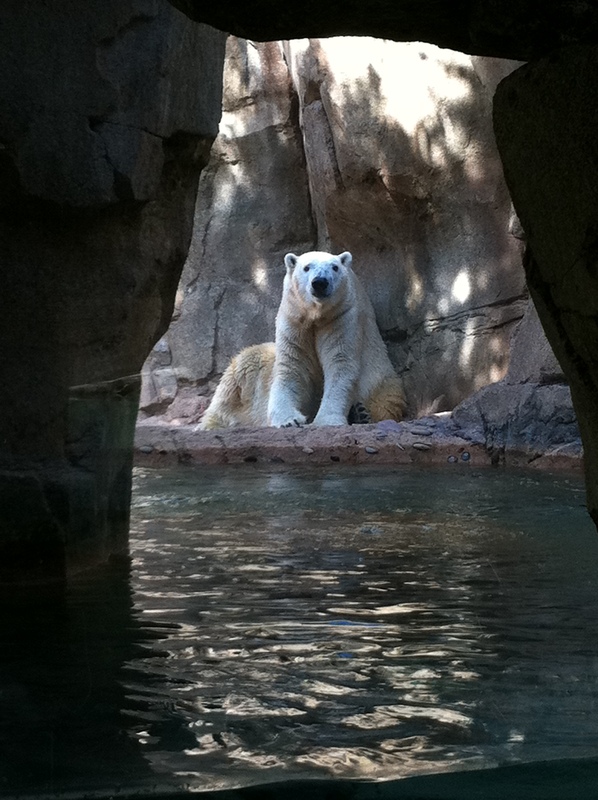 I ended February at the Memphis Zoo on International Polar Bear Day. Polar Bears are my favorite, after dogs of course, and they are in danger of becoming extinct. 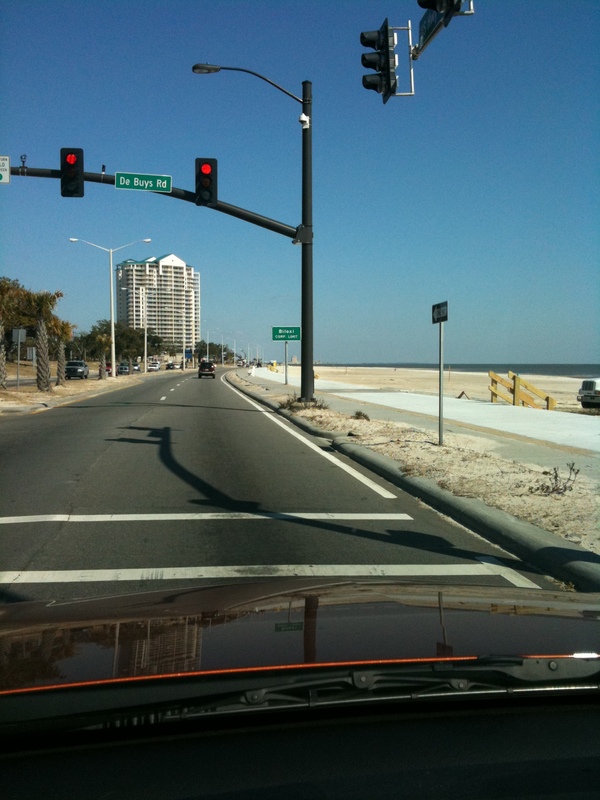 In March, Elvis, Cilla and I took a trip through Mississippi. 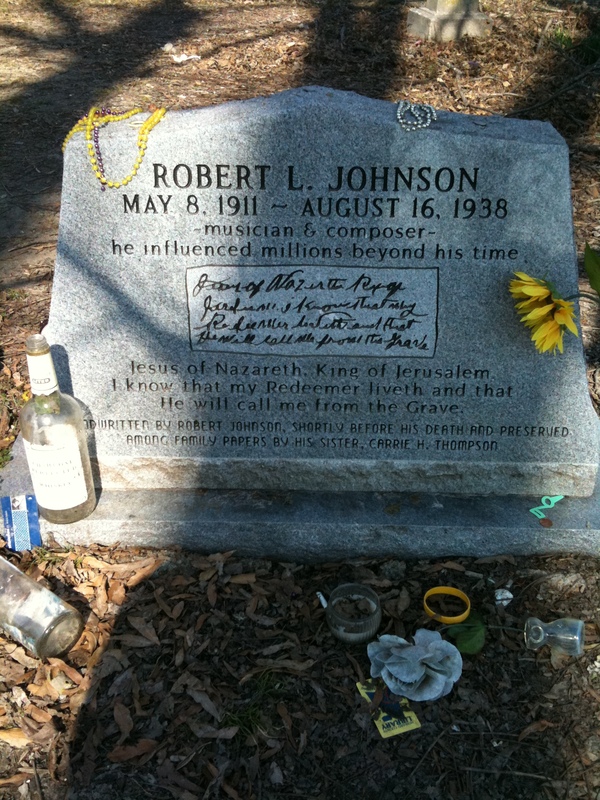 We saw Medgar Evers house in Jackson, the casinos in Biloxi and Elvis’ summer home at the Golf Resort, Robert Johnson’s birthplace in Hazelhurst, where coca-cola was first bottled in Vicksburg, Robert Johnson’s grave in Greenwood, Dockery Plantation in Cleveland, and the Cathead store in Clarksdale. I visited the Dixon Gallery and Gardens, played and ate at Harrah’s, and walked the dogs along the Mississippi River at Tom Lee Park. 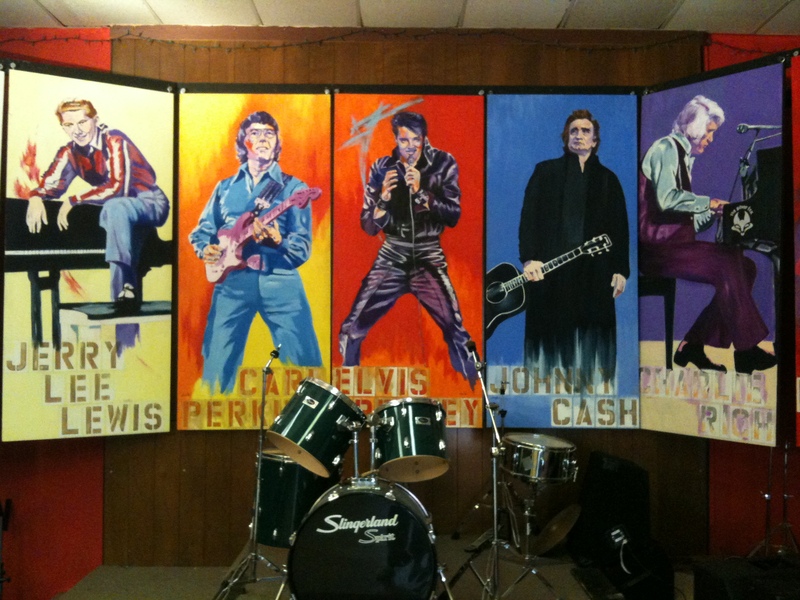 I finally went to the Rockabilly Hall of Fame in Jackson, TN, which was small but packed with lots of memorabilia! I went to Little Rock, Arkansas for the day to visit the Clinton Presidential Library, which was great and situated along the River. 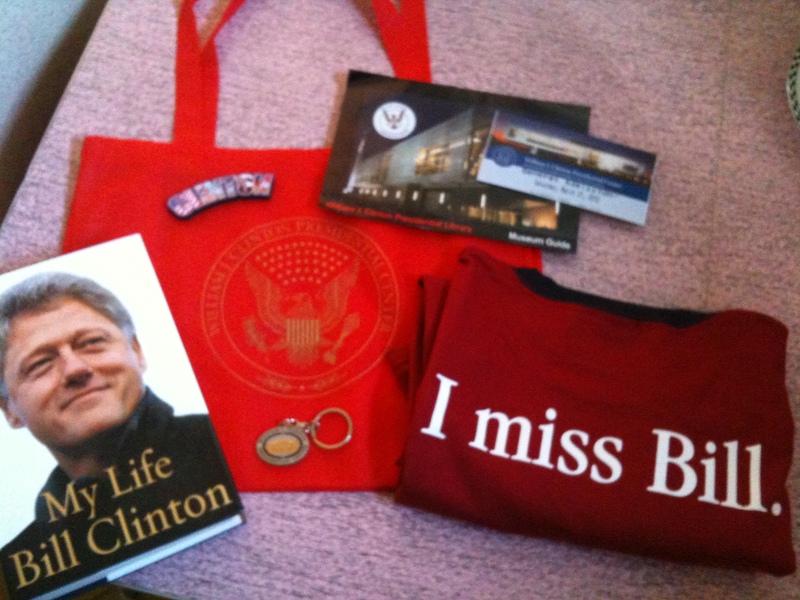 My first time at a presidential library and in Little Rock. 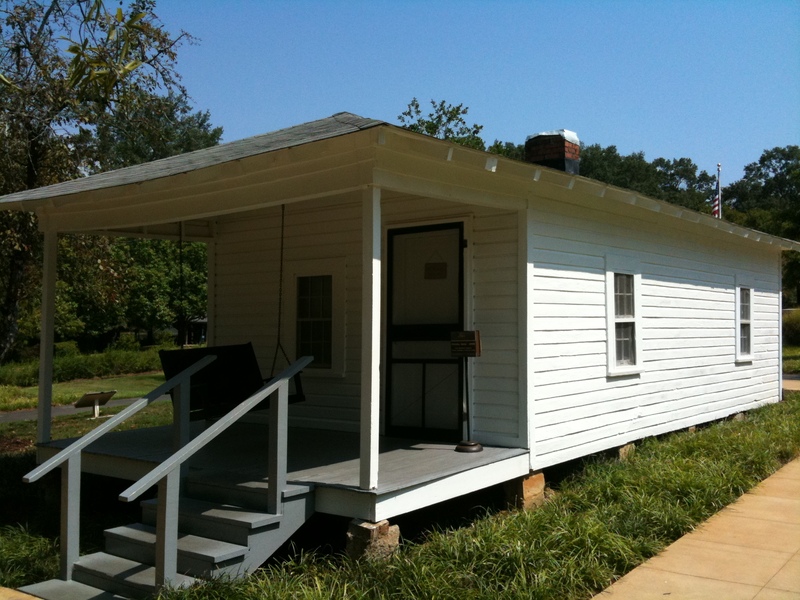 I ended March with a visit to Jerry Lee Lewis’ ranch in Nesbit, Mississippi. 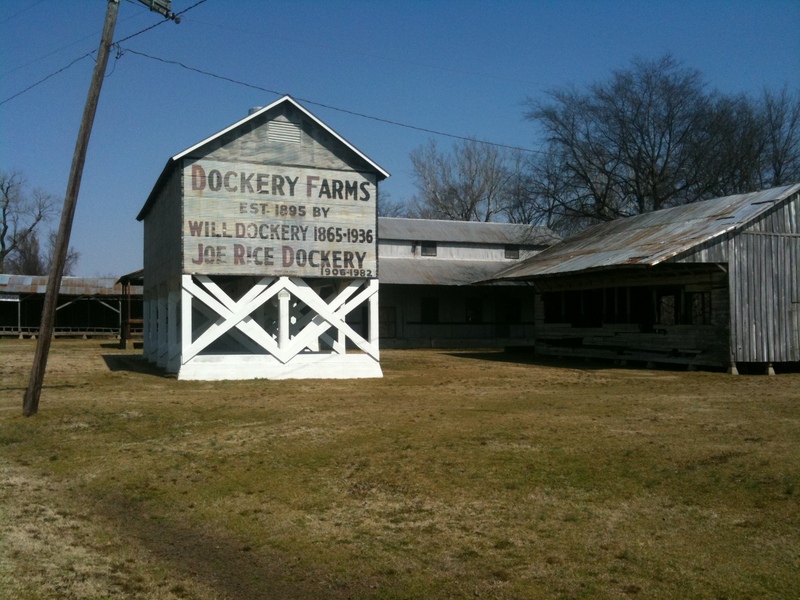 I couldn’t tour it because Jerry lives there and no longer gives tours, but I drove by it about 8 times back and forth taking pictures and video. 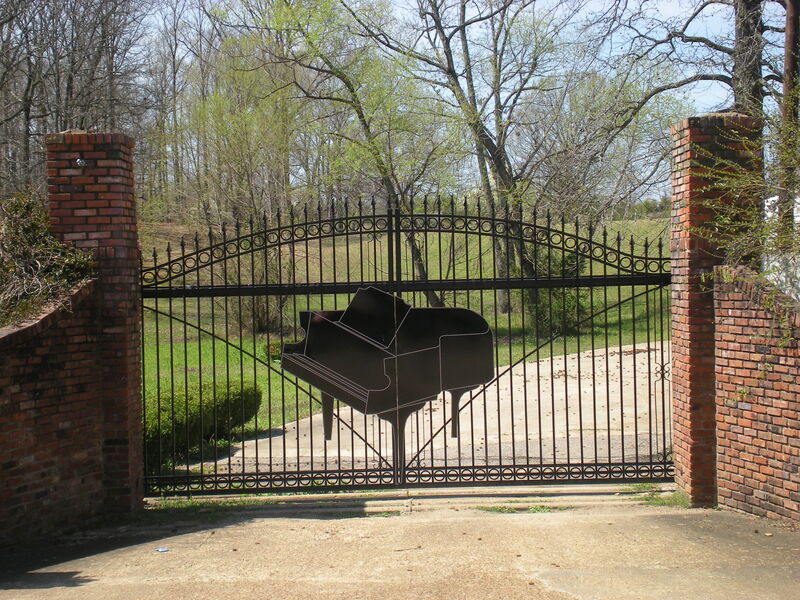 Love his piano gates as an answer to Elvis’ music notes gates. 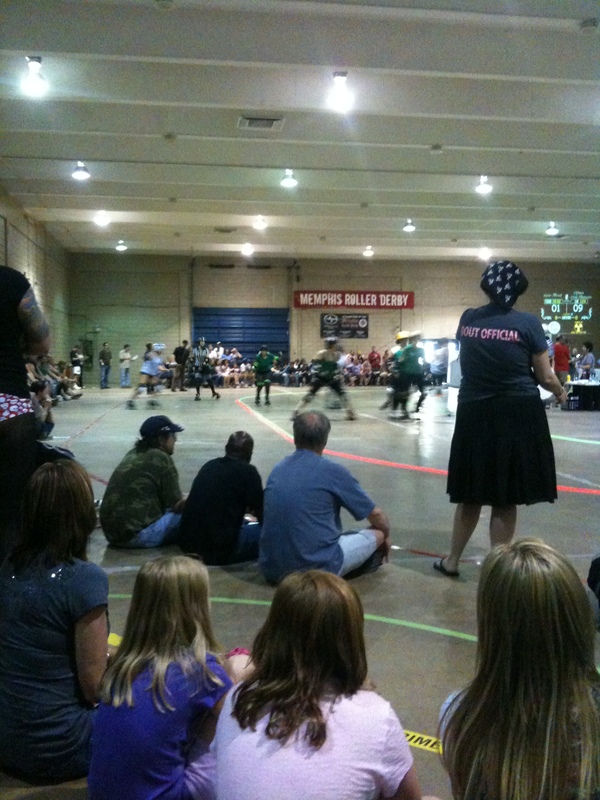 I spent a lot of time in April planning my U2 tour roadtrip that never was, went to the Memphis Roller Derby and finally got to the Memphis Pizza Cafe. 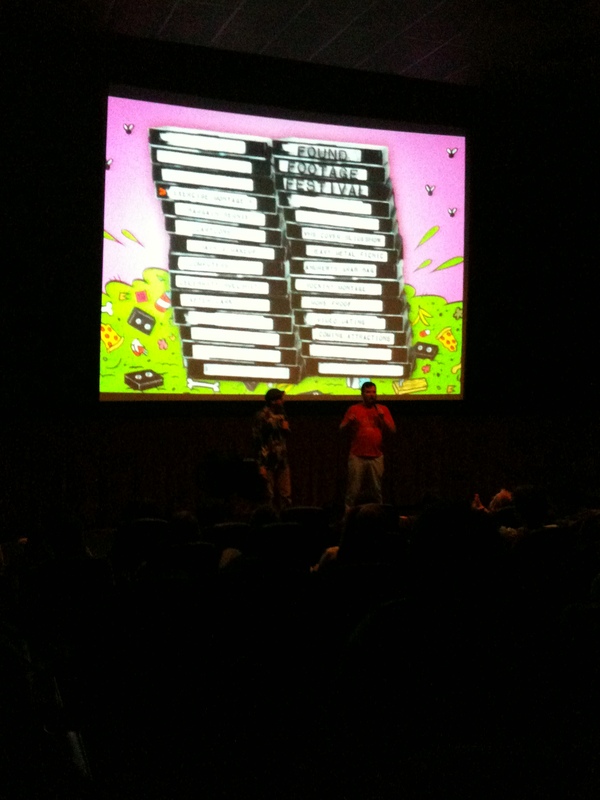 I went to the Found Footage Festival at Studio on the Square. Basically, these guys go around collecting and buying old VHS tapes and editing them to make these great montages of nostalia and then show them to folks like me in various cities. A simple and great idea. 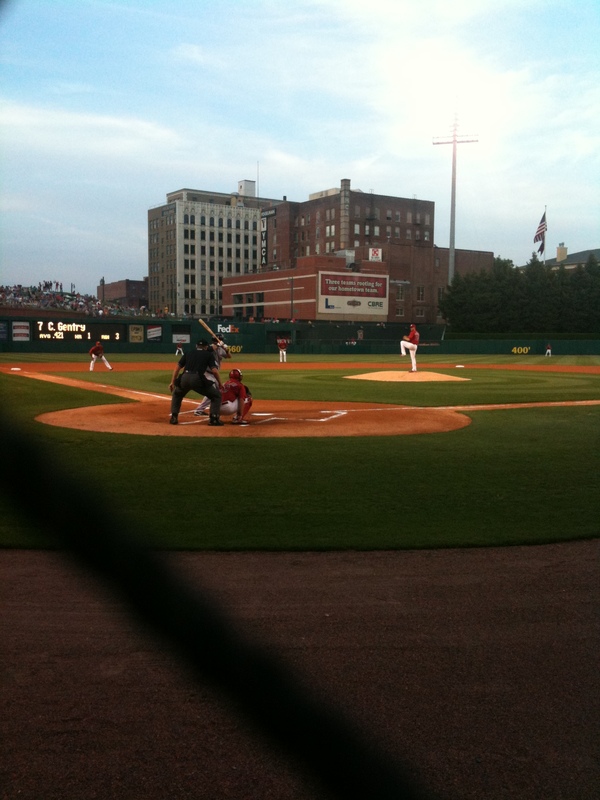 I again attended the Memphis Redbirds opening day, which is really a night game – which still bugs me. They lost, but it was fun and a great view from my front row seat. 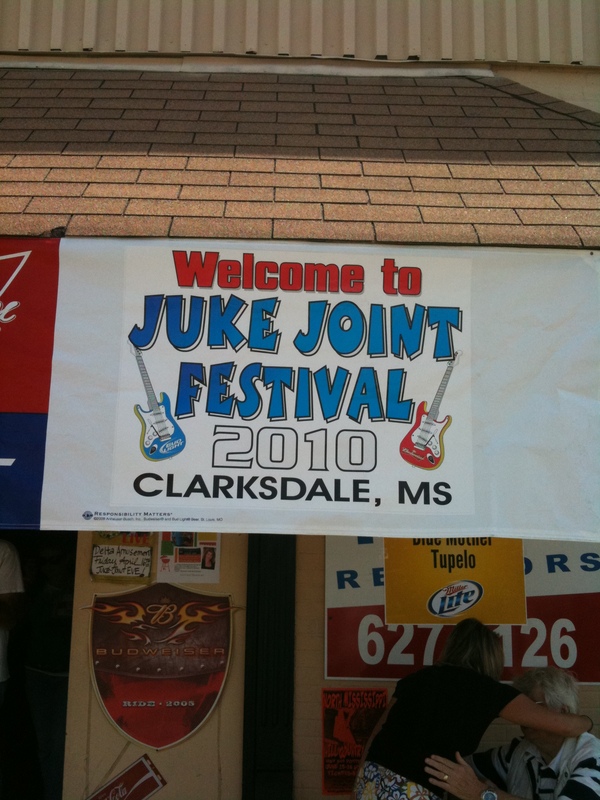 I went to the Juke Joint Festival in Clarksdale, Mississippi. I listened to great blues by Stacy Mitchart and Valerie June, watched blues documentaries at the old theatre and took a tour of Clarksdale including Tennesse Williams’ house and those of his neighbors Blanche and Brick. 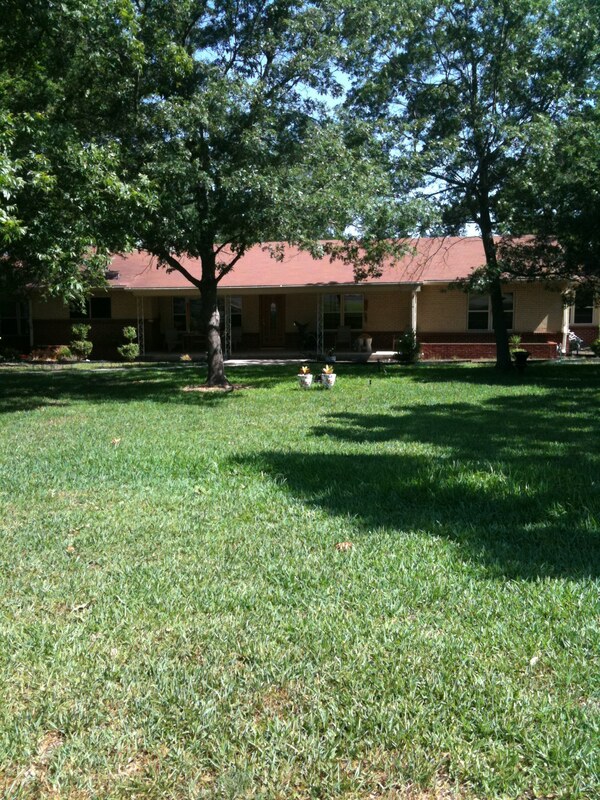 I visited Graceland because I hadn’t been since the birthday celebration in January. 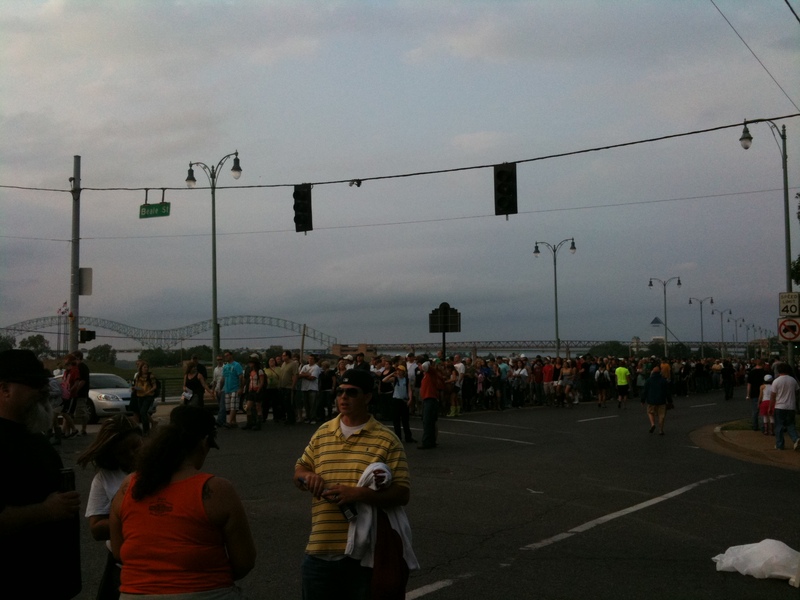 In May for the first time in years, we did not attend the Memphis in May Beale Street Music Festival because of the tornado. 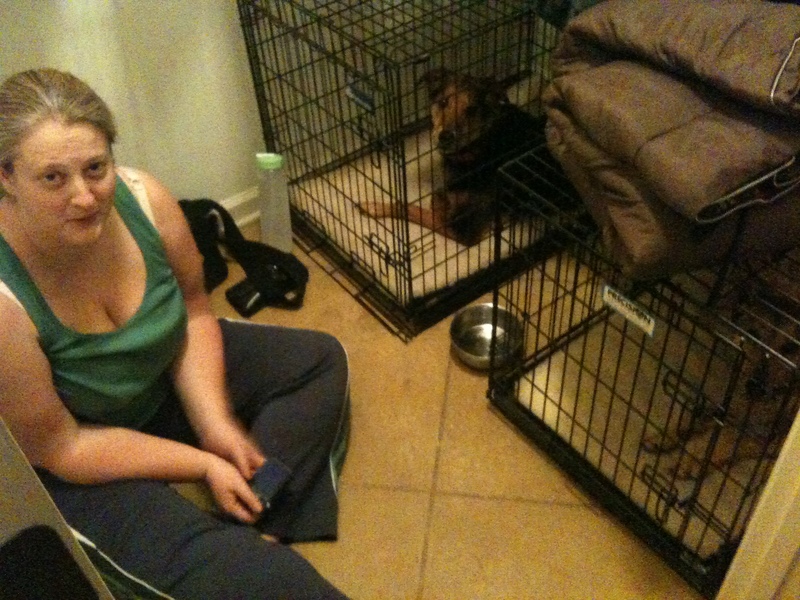 Tasha and I had fun though, except when we were hiding in the closet with the dogs from the tornado. Before the tornado, we went to played slots at Harrah’s, went to Sun Studio, went to Trolley Night where I bought some Memphis art, hung out on Beale Street, ate at Paula Deens, Marlowe’s, Blue Plate, the Cupboard, and Alfred’s. After the tornado, we drove around looking at the damage and then watched hockey at Young Avenue Deli. 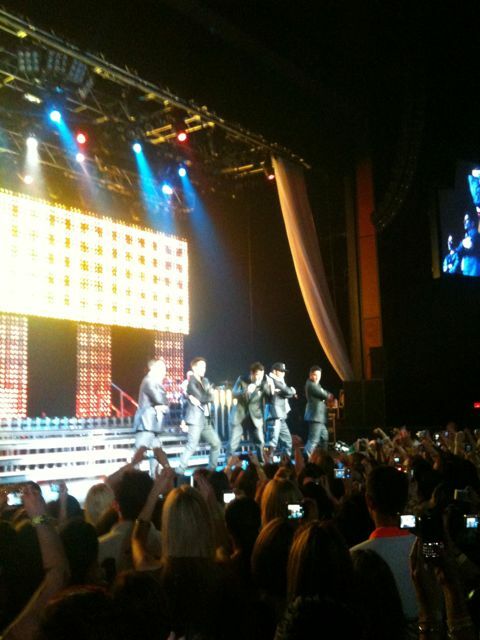 The best part about May 2010 was my trip to Las Vegas! I met Cindy there for 4 days, and we had a blast. 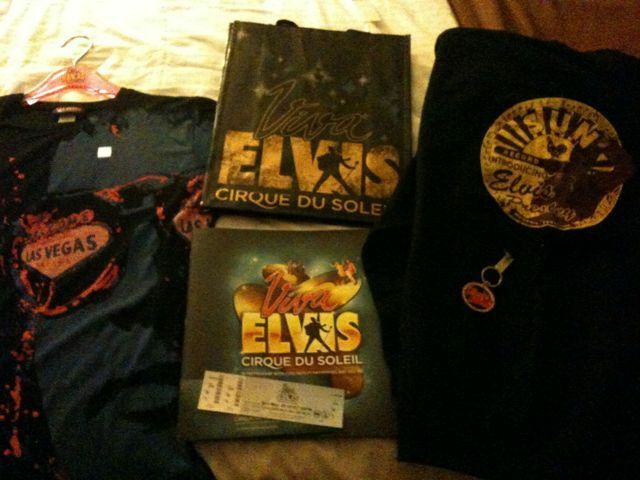 Plus I got to see New Kids on the Block the first two nights of their tour and the new Elvis Cirque de Soleil show. Cindy and I stayed at Ballys but of course played the slots up and down the Strip, like Planet Hollywood, Hard Rock and the Flamingo. The worst part about May 2010 was learning that U2’s North American tour had been postponed until next year because Bono had emergency back surgery, but luckily he was alright – thank goodness! So I scrambled to make plans because I was itching to take a roadtrip, since I had planned to be on the road for 2 months seeing every US U2 show and much of the country. I decided on driving out Route 66, with Elvis and Cilla, from Oklahoma to New Mexico and then back through Texas and Louisiana. 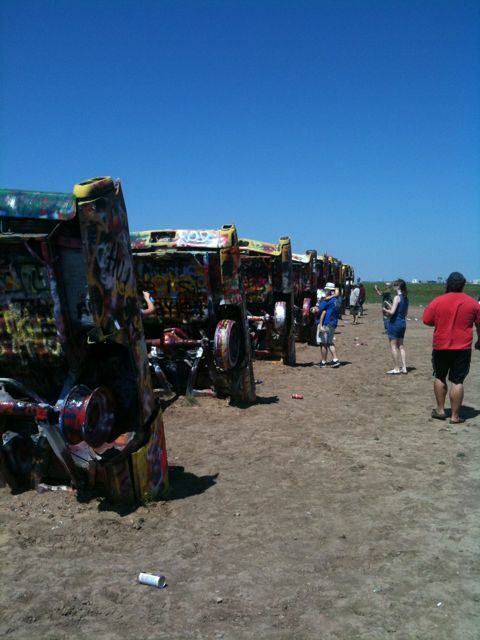 I saw many of the classic Route 66 sites from Tulsa to Albuquerque, but my favorite part of Route 66 was Amarillo – the Big Texan Ranch and Cadillac Ranch. 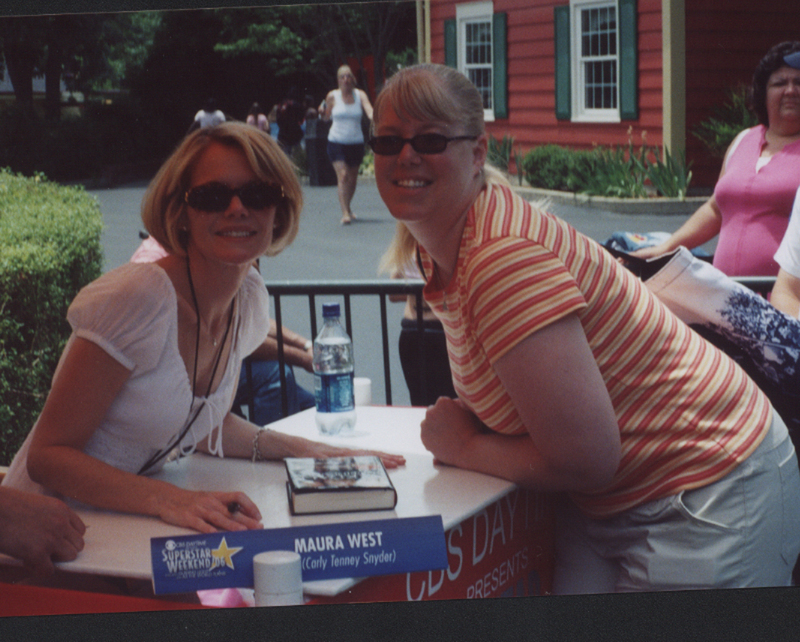 I really loved Texas, well north Texas anyway. I enjoyed Lubbock, Austin and Dallas. 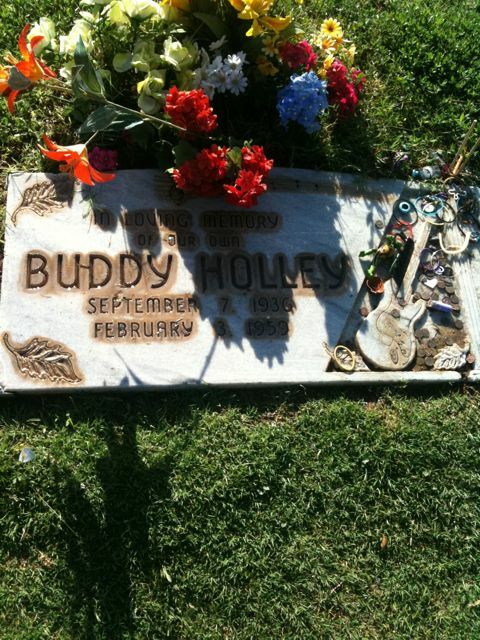 Being a Buddy Holly fan, I visited Lubbock and Buddy’s school, studio, grave, as well as the Buddy Holly museum. 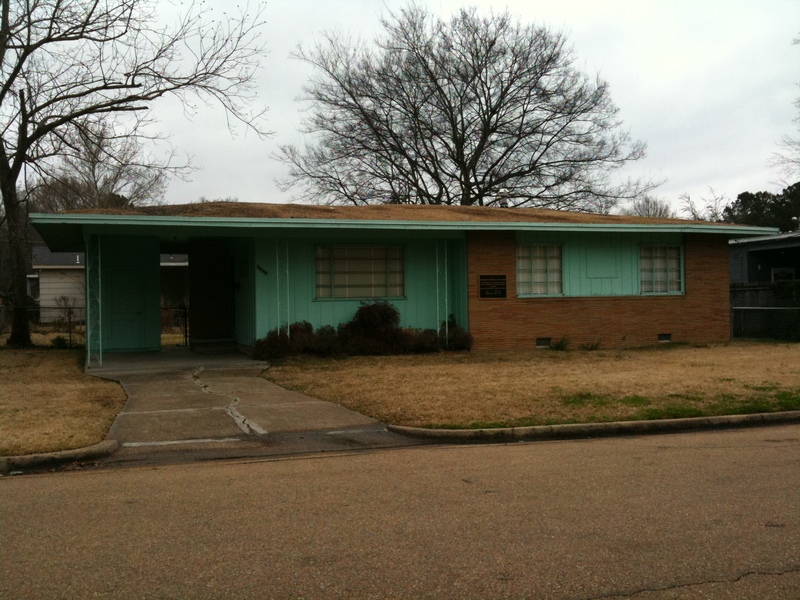 On the way to Dallas, I stopped in Killeen to visit Elvis’ home while he was at Ft Hood. 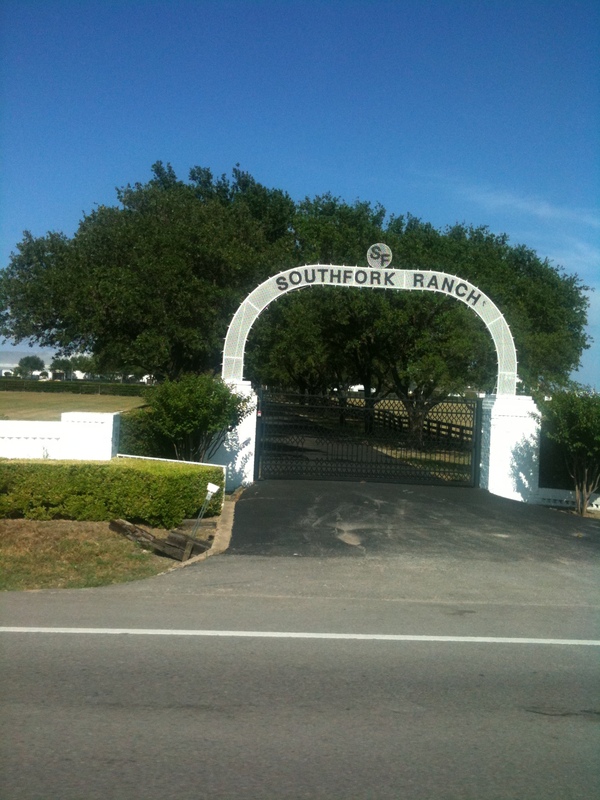 In Dallas, I stayed at the Southfork Hotel and visited the Southfork Ranch. 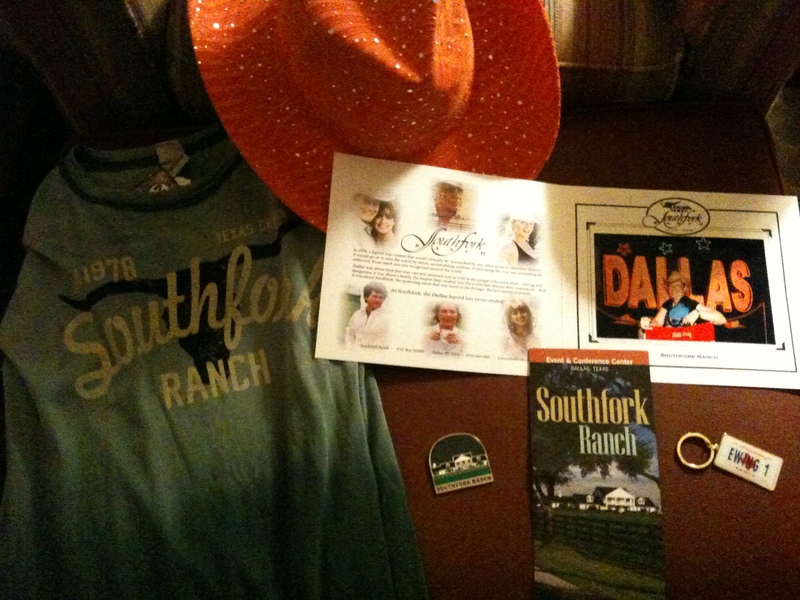 I am a fan of the tv show Dallas and touring the ranch was great fun. There was one last stop on our roadtrip before heading back to Memphis. 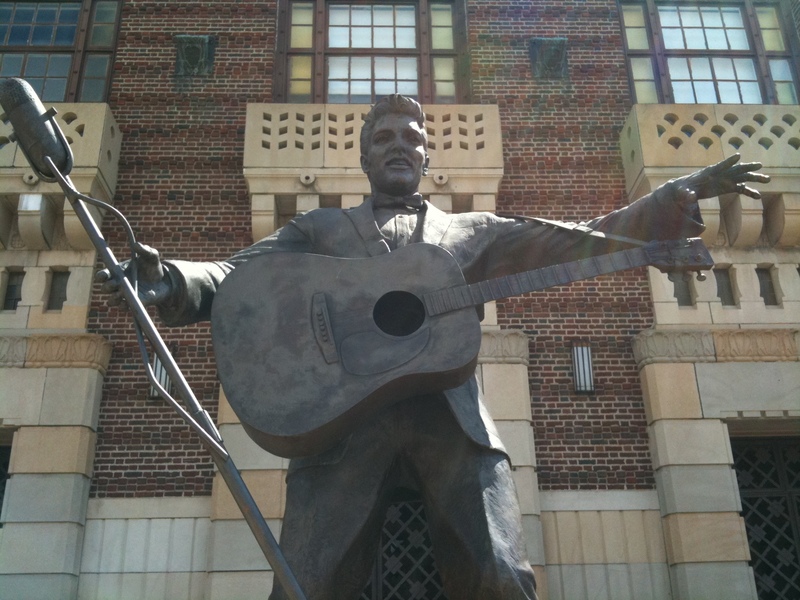 And that was in Shreveport Louisiana at the Auditorium where the Louisiana Hayride took place. 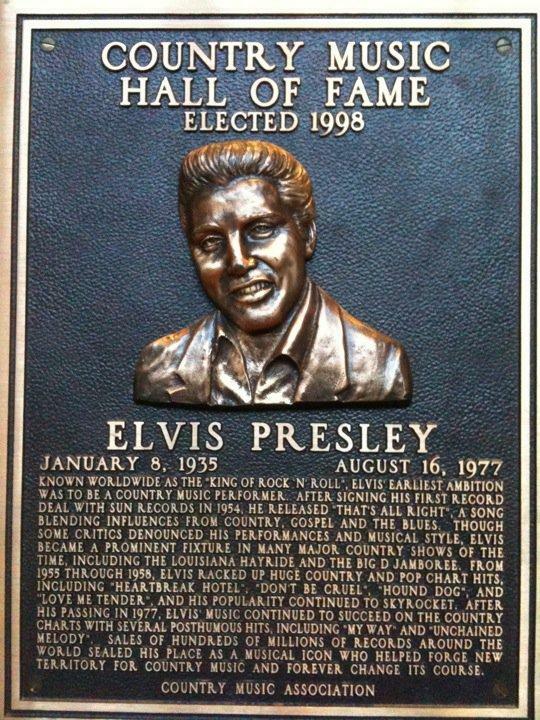 This is where Elvis, and many others, got there start. 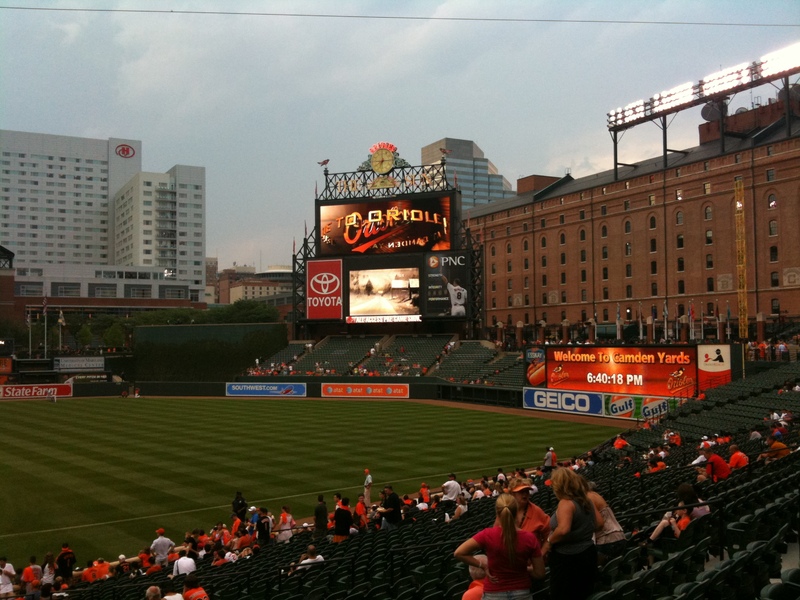 In June, I went home to Maryland for about 2 weeks and had a blast! 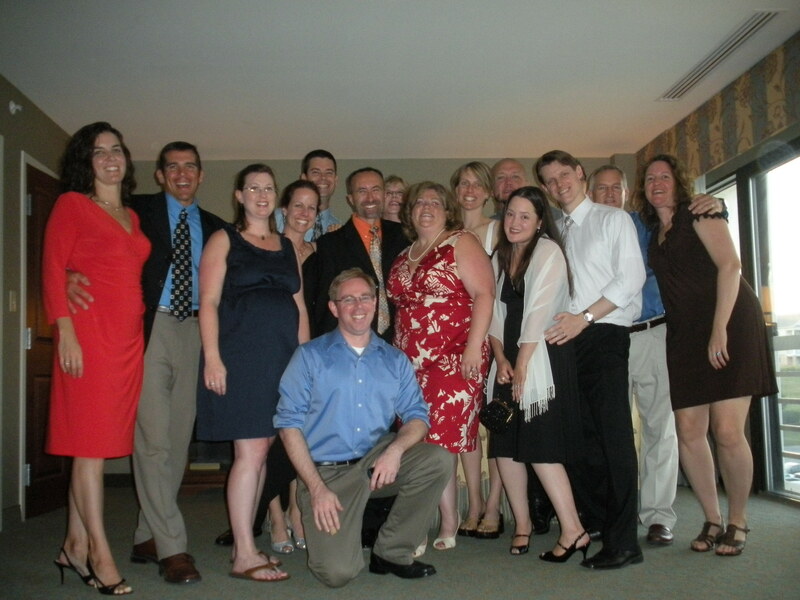 I attended my 20th high school reunion, spent a few days at Dover Downs casino, went to an Orioles game, went to the Mason Dixon Master Chef tournament at the Belvedere, and hung out with my parents and my friends. In July, I tried going vegan for about a month, but couldn’t find a great cheese substitute that I could live with, so I’m back to being just vegetarian. 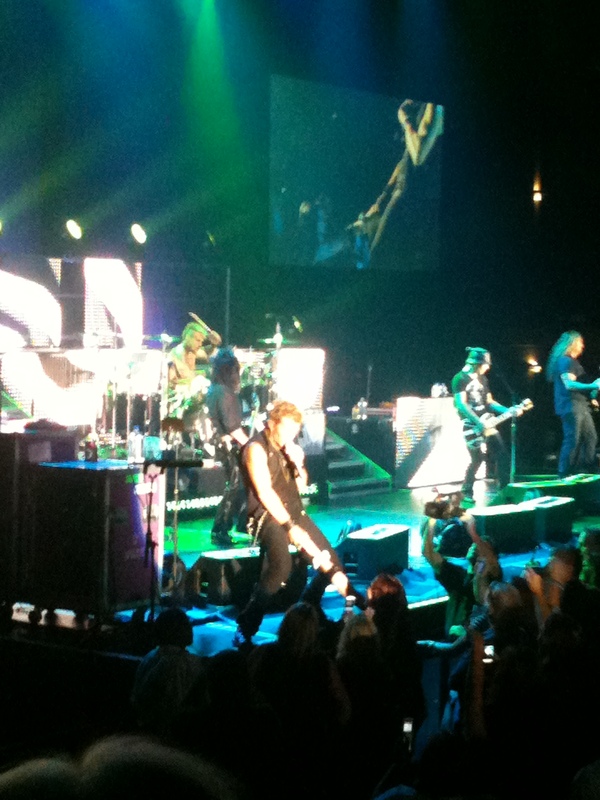 I found out that the U2 North American tour had been rescheduled for Summer 2011. 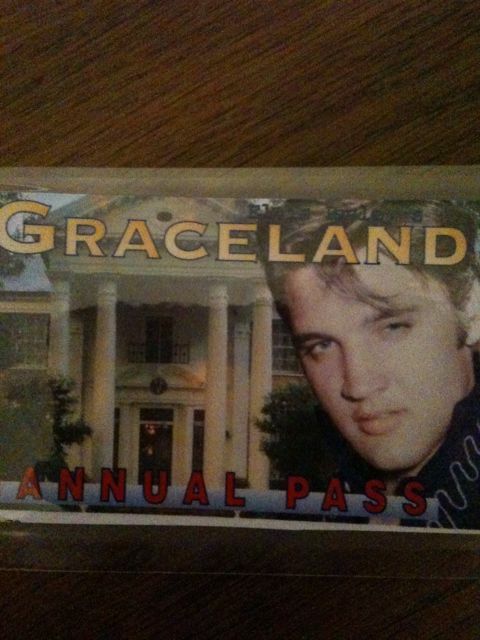 On my July visit to Graceland, I bought an annual pass which will pay for itself after 2 visits. I spent the rest of July attending events in Memphis. I went to the Who Shot Rock n Roll photography exhibit at the Brooks Museum of Art, the opening reception for the Elvis: from Memphis to Manhattan exhibit at Stax Museum, the HiTone (finally!) to see Bulletproof Vests, Daylight Fades encore presentation at Studio on the Square, the Arts Memphis Bravo season kickoff party featuring the Bluff City Backsliders, WEVL’s annual Blues on the Bluff featuring the BoKeys, Marshall Grant’s (Johnny Cash’s bassist) final performance and book signing at the Brooks, and Joan Jett at Horseshoe Casino in Tunica. August found me on the road again, but this time without Elvis and Cilla. 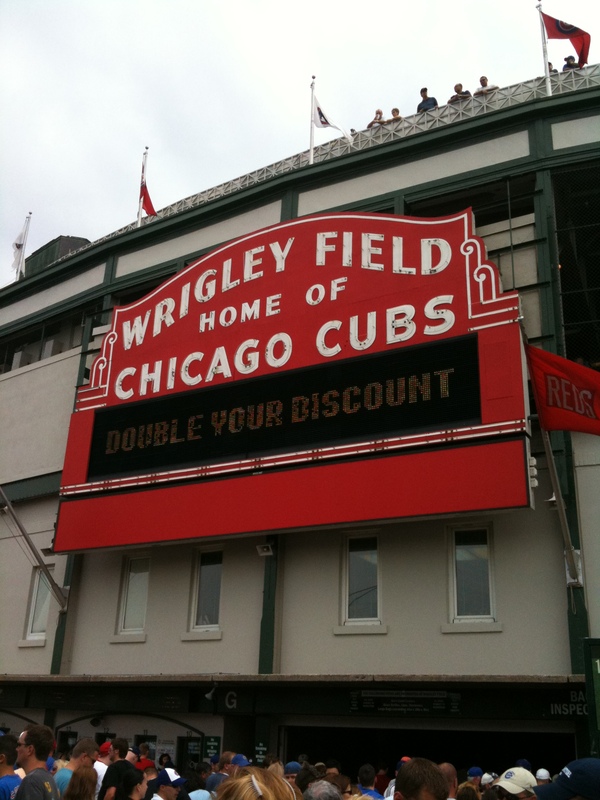 I met Tasha in Chicago for Lollapalooza, but also went to see the play Million Dollar Quartet and a cubs game at Wrigley Field. 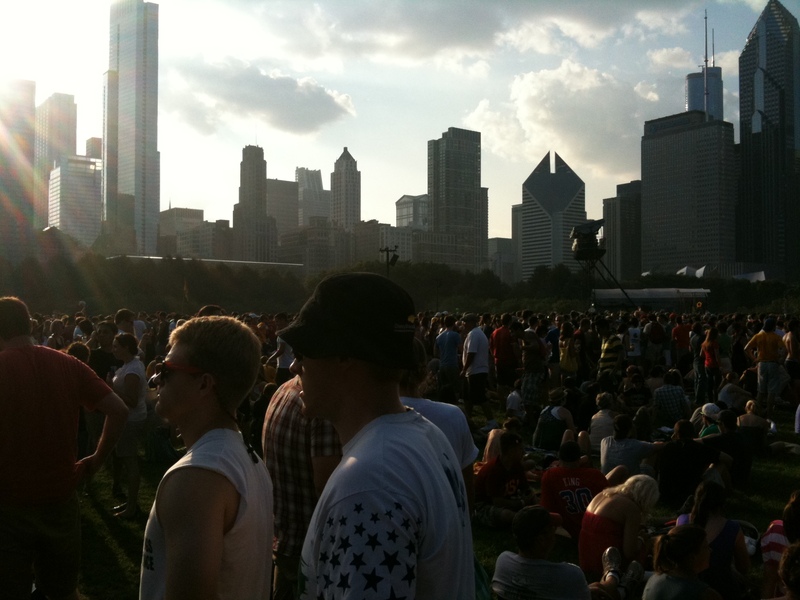 My main reason for going to Lollapalooza was to see Soundgarden, but I really enjoyed the entire festival. It was clean, organized, and lots of great music. I enjoyed seeing These United States, the Ettes, Mavis Staples, Amerian Bang, Ed Kowalczyk from Live, Devo, the Black Keys, Lady Gaga, Switchfoot, the Cribs, XJapan, Wolfmother, and of course SOUNDGARDEN! 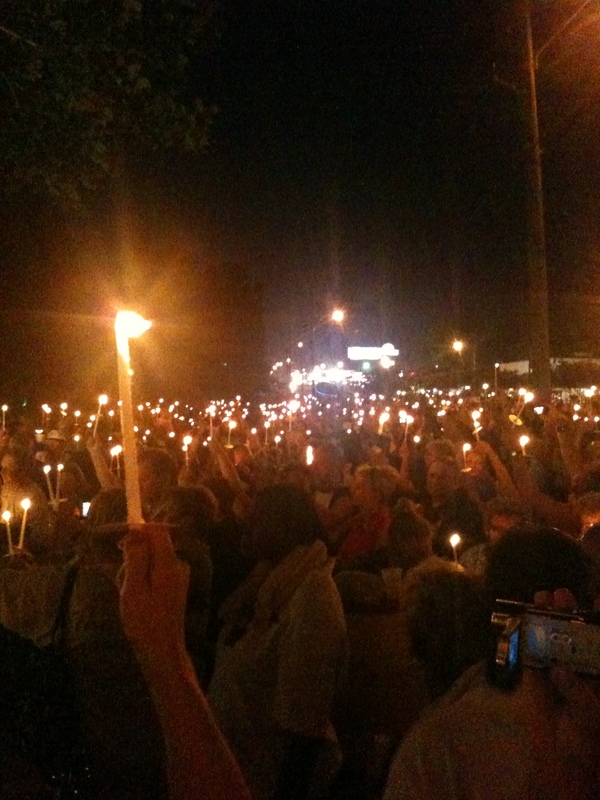 Back in Memphis in August for Elvis Week. 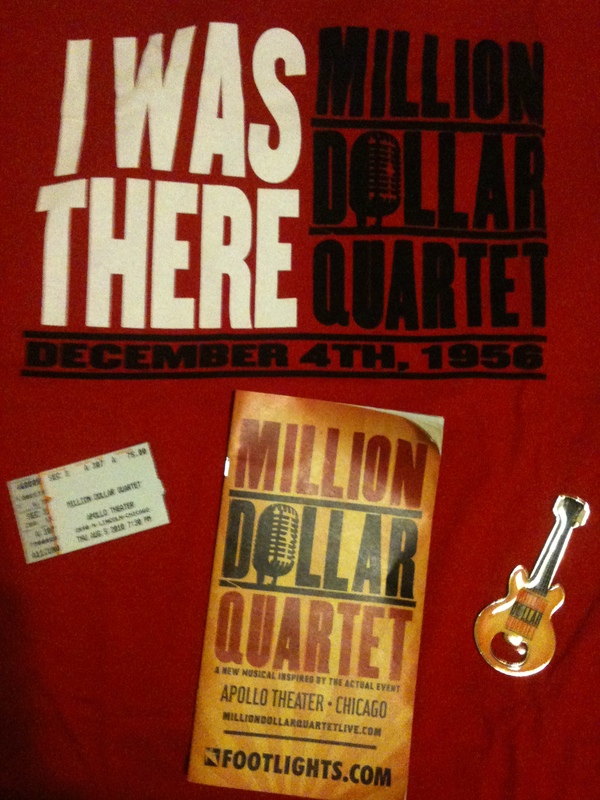 I attended the benefit for Myrna Smith (sadly she just passed away Christmas Eve) featuring a performance by Cowboy Jack Clement, Elvis Insiders Shake Rattle and Bowl where I met Chris, Noel, Joe Guercio, Cynthia Peppers, Conversations on Elvis at the Orpheum with Joe Guercio, the Stamps, Joe Esposito, the sreening of Elvis on Tour at the Orpheum with a performance by the Stamps, the Candlelight Vigil with a heat index of 115 degrees and an appearancy by Elvis’ nurse Marion Cocke on George Klein’s radio show. The end of August brought me to the realization that I love writing, this may have been inspired by seeing and reading Eat Pray Love. But writing is what I want to do – find a way to get paid for writing. I would love to get paid for reviewing events I attend, so I have this blog and I write for examiner.com. I have also I started my memoirs – 3 different versions. I also ate at restaurants I had been wanting to try like Majestic Grill and Fuel Cafe and saw Billy Idol at Harrah’s Casino in Tunica. 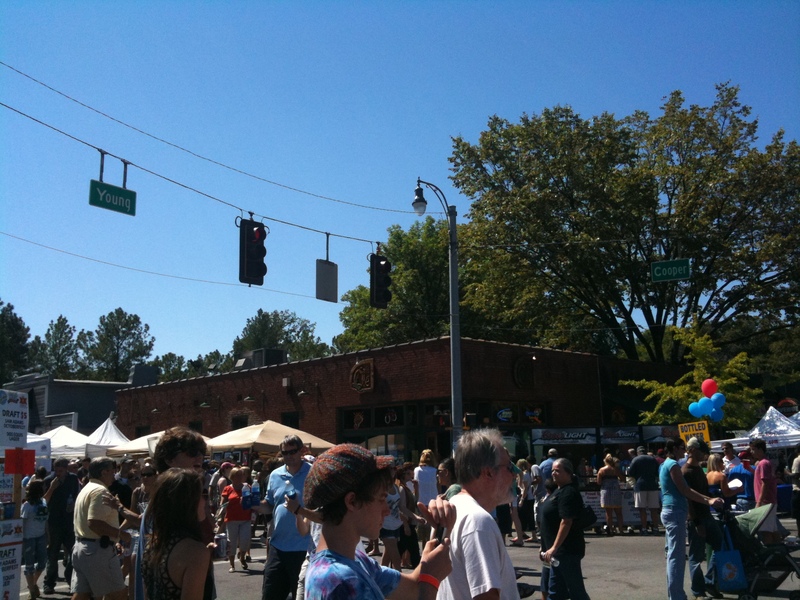 September started off great with the annual Memphis Music and Heritage Festival downtown, which is free. It was a day of great Memphis music with Roy Harper, Nancy Apple, Barbara Blue, Sweet Angel, the Kattawar Brothers, Elmo and the Shades, Bluff City Backsliders, and Jack Oblivian and the Tennessee Tearjerkers. 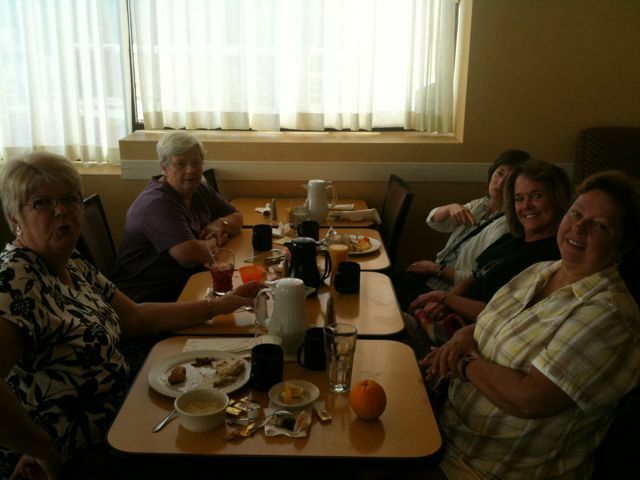 I went back to Harrah’s to play the slots and eat at Paula Deen’s. I went to traffic court in Illinois to fight a speeding ticket I got on the way to Chicago – and I won! I spent the day in Tupelo visiting Elvis’ birthplace, Tupelo Hardware, Elvis’ school, the CVB and eating at Johnnie’s Drive-In. September 17, 2010 was the last episode of As the World Turns. It has been on the air for 54 years, and on the radio before that. My grandmother used to listen to it on the radio, then watched it on tv. It was the first soap opera that was a half hour – the rest were 15 minutes. I have watched As the World Turns since the late -1980s. 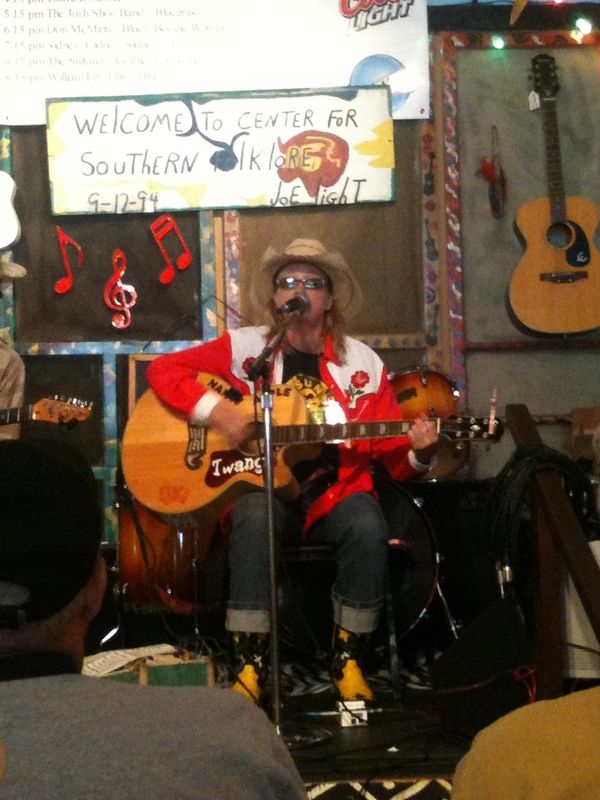 I attended the Cooper Young Festival for the first time. Actually I worked it. I helped out in the Indie Memphis Film Festival booth. 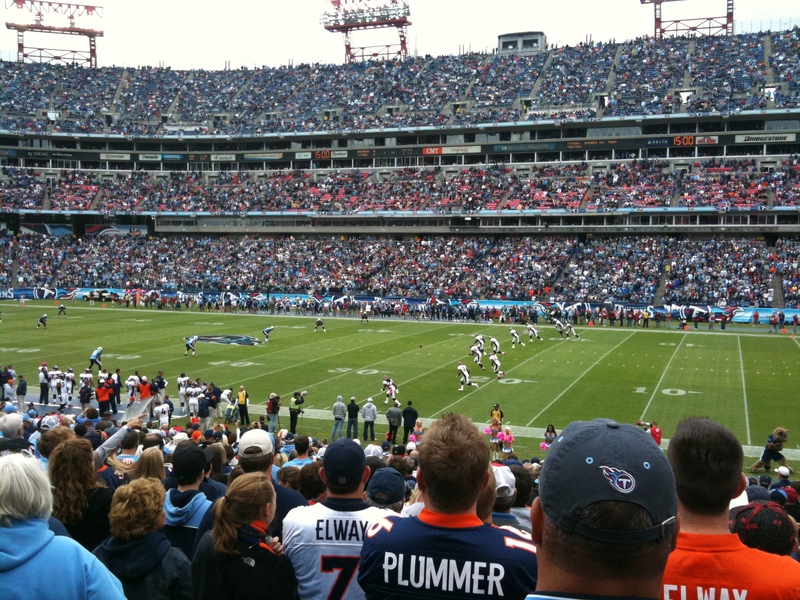 In October, I was on the road again to Nashville for my birthday weekend. I left Elvis and Cilla at the vet’s and away I went. I toured the Ryman, visited record shops and bars on Broadway, saw my Denver Broncos defeat the Titans (the whole reason I went to Nashville), toured RCA Studio B where Elvis recorded and the Country Music Hall of Fame. 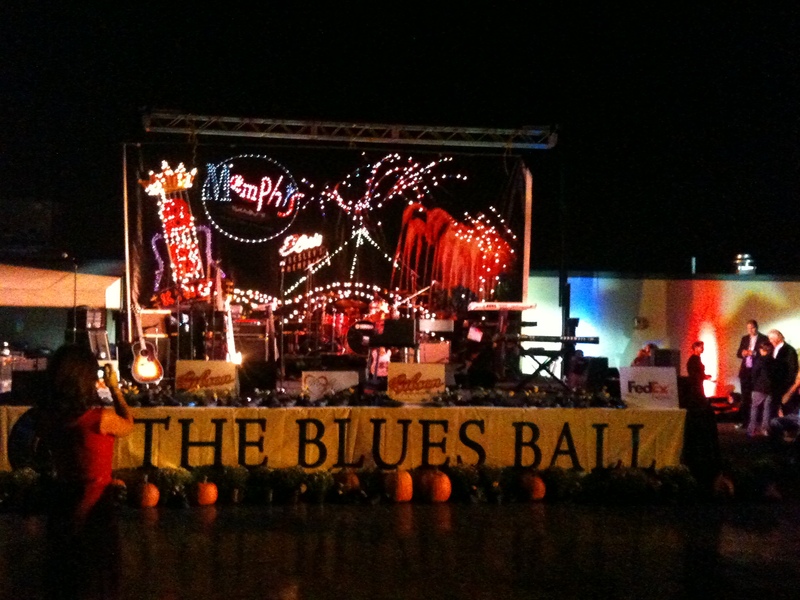 I attended the 17th annual Memphis Blues Ball, which was honoring the 75th birthdays of both Elvis Presley and Jerry Lee Lewis – neither were in attendance. 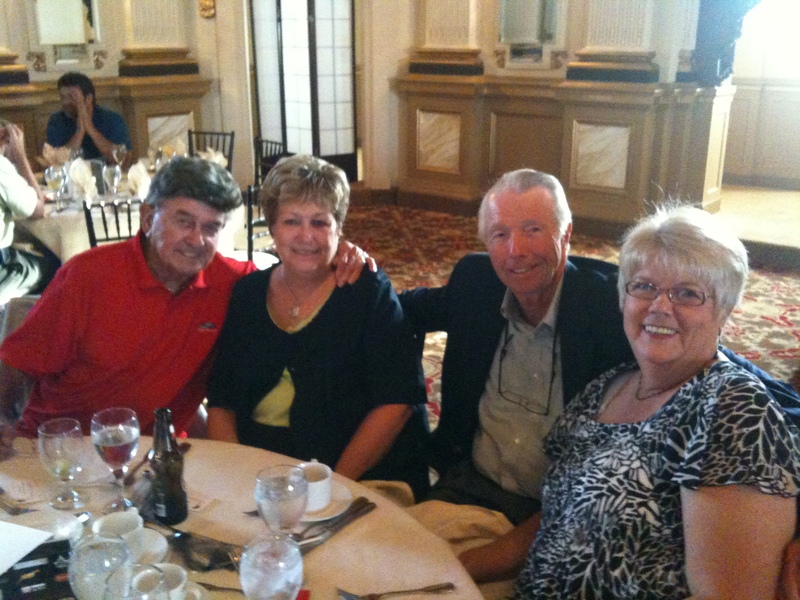 But Jerry Schilling, George Klein, Mark James, Knox Phillips, Jerry D Williams, Ronny McDowell and Jack Soden were there. 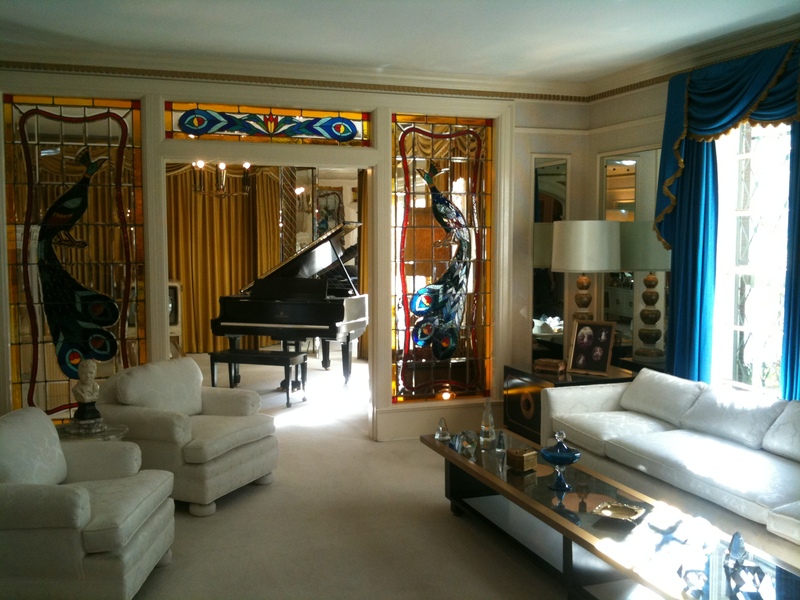 Using my annual pass, I spent the day at Graceland, the happiest place on earth. 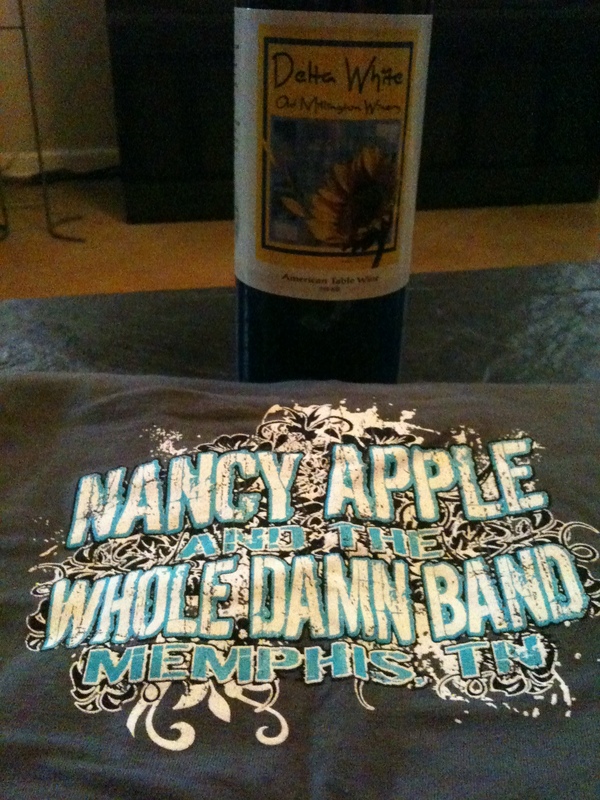 I went to the annual Wine Fest in Millington, featuring Nancy Apple. 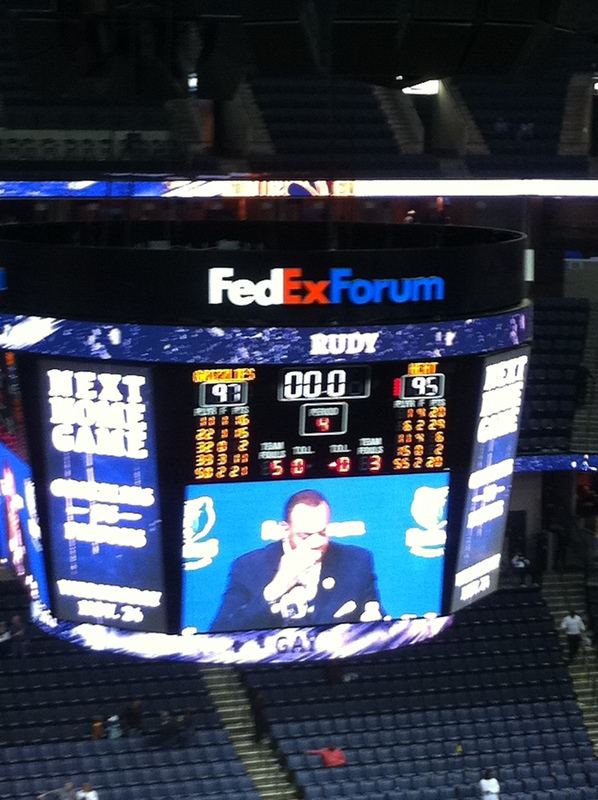 October ended with the Memphis Grizzlies 10th season opener featuring a performance by Al Kapone. November started with more U2 shows being added and me planning for next summer’s tour/roadtrip. 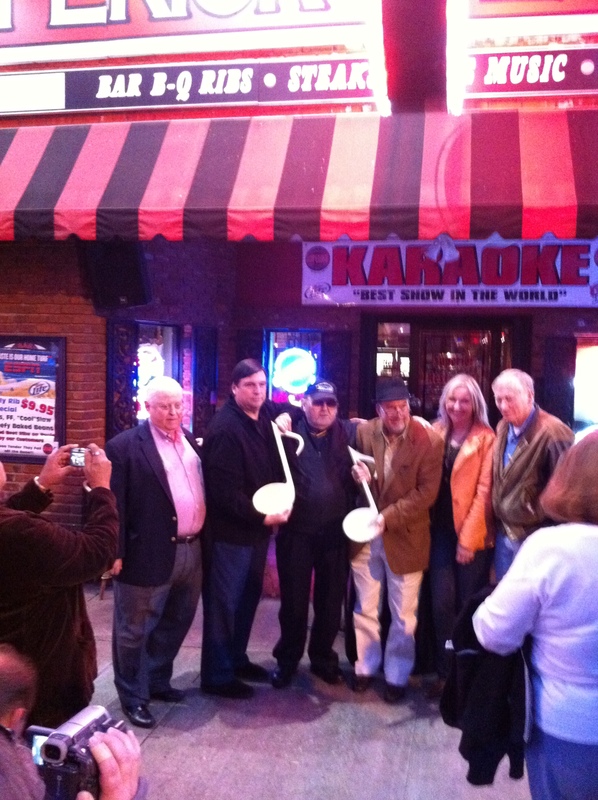 My parents’ friend was in Memphis, so we had breakfast at the Arcade, toured Graceland and Sun Studio, watched football at Alfred’s and saw Chips Moman and Marty Lacker get their music notes on Beale Street. I went to Payton the polar bear’s birthday party at the Memphis Zoo – he was 7. I went to Tunica, but this time played the slots at Horseshoe and Gold Strike before going back to Harrah’s and eating at Paula Deen’s. 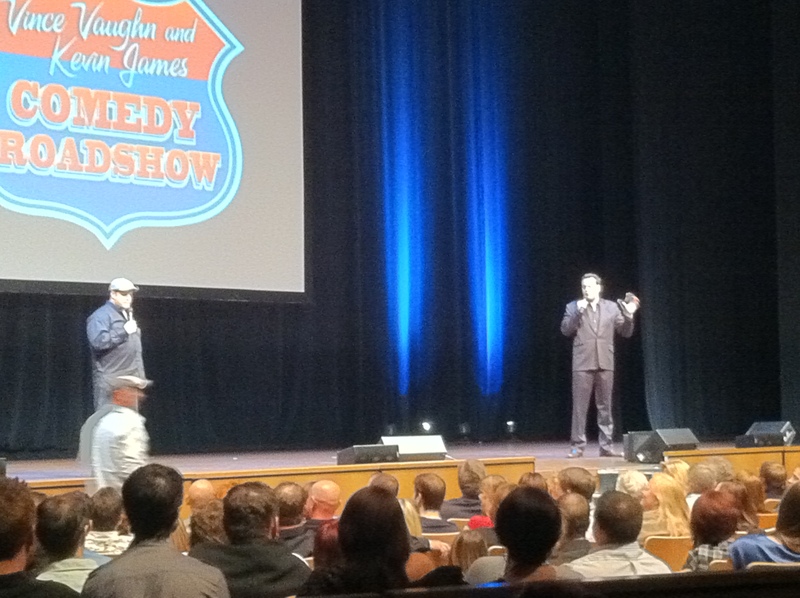 I saw Vince Vaughn and Kevin James at the Cannon Center. They were absolutely hysterical! 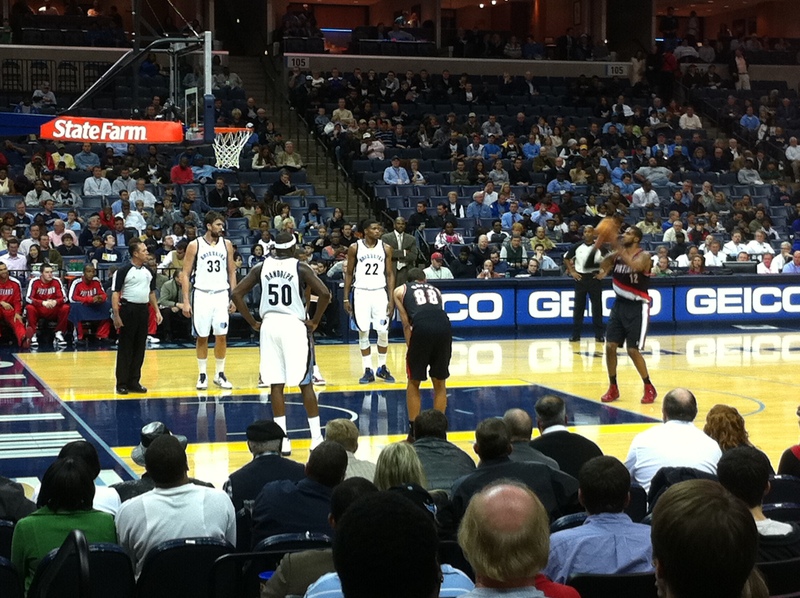 For the Portland-Grizzlies game, my seat was upgraded to about 10 rows off the court – a $227 ticket for free! It’s a whole different game from that angle. November ended with the Memphis Grizzlies defeating Lebron James and the Miami Heat. 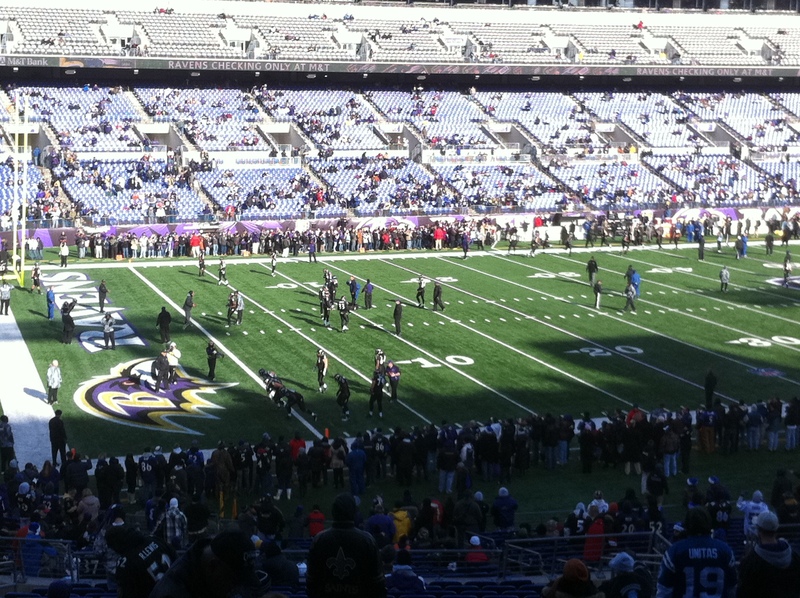 It was a fantastic game, even if I was back up in my nosebleed seat. 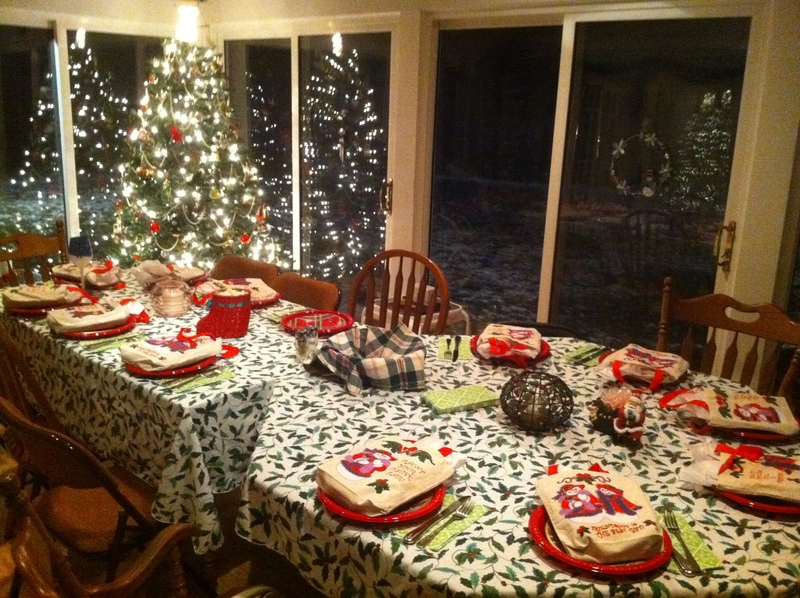 In December, Elvis, Cilla and I went home to Maryland for over 2 weeks for Christmas and had a fantastic time! 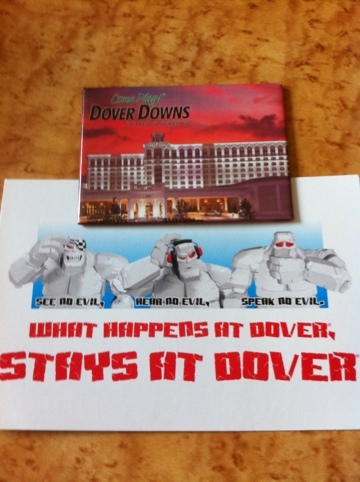 I went to Dover Downs casino for a couple of nights, went to a Ravens game, ate lots of Ledo’s pizza, attended our annual Trivia Christmas party, celebrated Cindy’s birthday, and spent time with my parents and my friends. 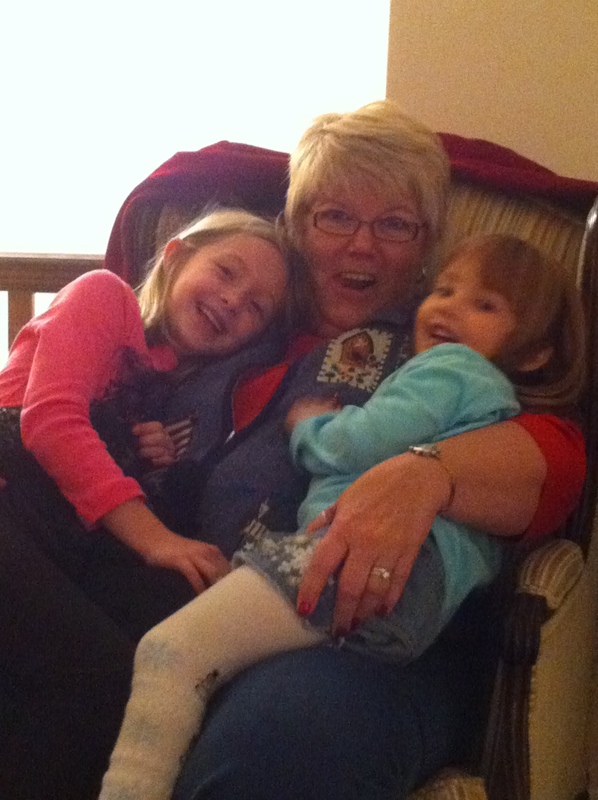 What a truly wonderful year I have had! I am so lucky! I started a new blog at http://ontheroadwithu2.com to document my U2 tour travels next summer as well as my adventures from past U2 tours I’ve been on. 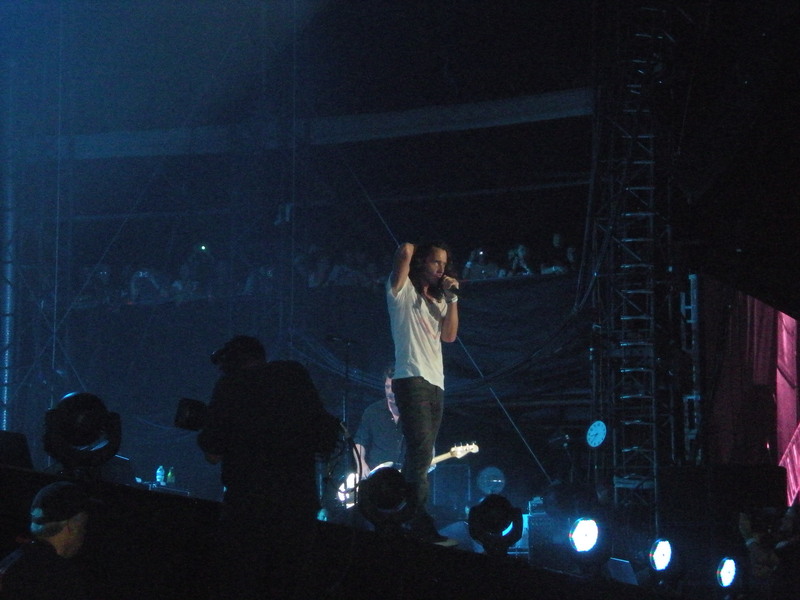 I will still post on this blog for non-U2 related events, but 2011 is really going to be the year of U2011!